We moved into 714 Westwood on June 11, 1978 — Margaret Ann’s 33rd birthday. We’ve lived here 39 years. We purchased our home in Heights Park largely due to the trees and the love of cottage-style homes. When we bought the home, the front yard had a large sweet gum tree and an overgrown jasmine bush by the front porch (which is now enclosed as a sunroom). Over the years, we have gradually expanded flower beds and continued to add perennials and varied annuals according to the season. During our second year here, Frank planted a cedar elm on the parkway, where the red bench sits. He planted a live oak where the swing now hangs and three yaupon holly trees in front. A few years later, we hesitantly removed the sweet gum to have more visibility at the front of the house. We are not Master Gardeners. Rather, we plant and replant and see what thrives. We have planted azaleas, yaupon holly bushes and boxwoods in front of the sunroom. None thrived. Five years ago we planted pittosporum in the spot and they have thrived. Finally!! Over the last 10 years, we have added brick paths, a large brick area by the driveway — partially because of the shade and partially because we had no success with grass. The wicker swing has provided a way for us to meet walkers and offer adults and children a swing and visit and sometimes ice cream or a brownie. As we tell our young neighbors that we meet while they are walking by, our gardens have been a process. A 39-year process. 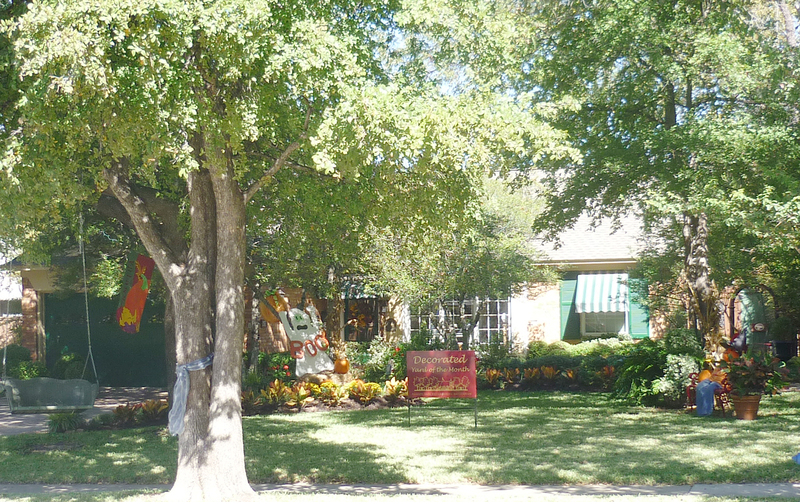 Our back gardens are lush under an elderly pecan tree that provides shade for ferns and more brick paths. We love to share our gardens, so please don’t hesitate to stop by. Heights Park residents the Galvans — Kevin, Jenny, Kallie and Lindsey — and Maddie Moo, the mascot of Haystack Burgers and Barley. Editor’s note: The following is the first in a series of features on local restaurants and shops. Several great restaurants and shops surround Heights Park. Many of them are family-owned, providing us the opportunity to dine with neighbors in our neighborhood. 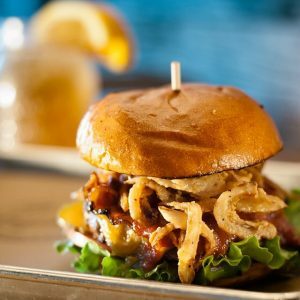 One such restaurant is Haystack Burgers and Barley in the Richardson Heights Shopping Center. Heights Park residents Kevin and Jenny Galvan opened Haystack in April 2013. Kevin’s family has generations of restaurant owners. The Galvans had a vision: a different kind of fast casual restaurant with amazing fresh burgers and fries. They decided to open a burger joint in Richardson because everyone loves a good burger and it’s something people will eat more than once a week. They wanted to open their business in the neighborhood they love and have lived in for almost 15 years while raising their two daughters, Kallie and Lindsey. They saw a need in the neighborhood, and they went for their dream! Lindsey came up with the name Haystack after driving by a field of hay bales one day. The name stuck, and they eventually added “Burgers and Barley” on to the name to begin their journey. Jenny and Kevin ran many of their ideas on restaurant décor past Kallie, who has impeccable taste and is always happy to offer a helpful opinion. They could not be happier with the look and feel of Haystack. Some of the items neighbors have enjoyed, besides one of Richardson’s best burger, are the fried pickles and the Haymaker — a unique frozen drink made with orange juice, lemonade, iced tea, Maker’s Mark bourbon and an orange slice on top. When Kevin and Jenny first developed the recipe, they went door-to-door to their neighbors on Winchester to see what changes needed to be made. Feedback from residents of the 600 block of Winchester tweaked it to what it is today! 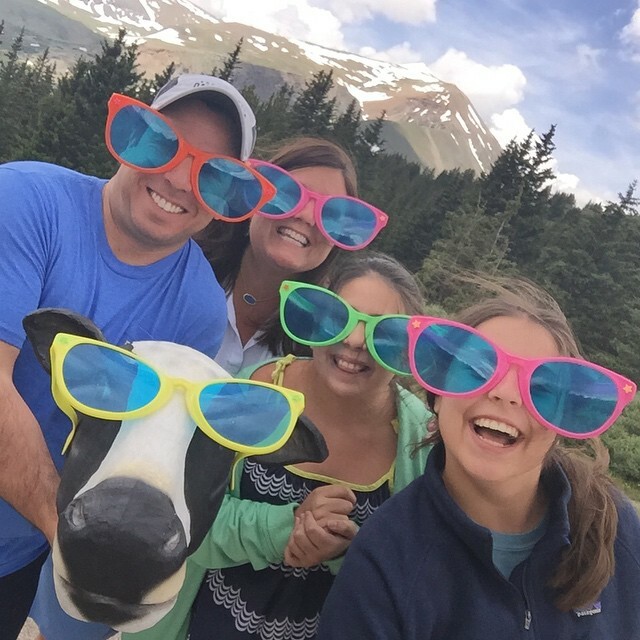 Haystack is family-owned and they make each customer feel as if they are a part of the family. Grab a neighbor and check it out! Editor’s note: The following blog post is by Heights Park resident Christy Erickson. If you are interested in writing for HeightsPark.com, email contact@heightspark.com. The latest news about bees is not good. The worldwide population of bees has dropped dramatically. In the United States, 44 percent of bee colonies have disappeared, and the U.S. Fish and Wildlife Service recently declared a species of bumblebee as endangered. This is a big problem for our country and our food supply. A strong bee population is vital to crops like apples, berries, coffee, cotton and others. If the bees disappear, our diet will suffer. That’s why it’s important for us to take a few steps to support bees. One of the best ways you can help is by building a garden. Thankfully, that’s easy to do, even if you’re new to gardening. Here’s why bees are so important to your food supply — pollination. When bees visit flowers for their food, they collect pollen. When they visit another flower, that pollen fertilizes the plant and helps a new generation grow. Without pollination, a crop will disappear without any replacement. Bees even pollinate crops that cows eat, such as alfalfa. If the bee population continues to dwindle, many foods will become scarce — and thereby expensive — or even disappear completely. You can help. It’s as easy is building a garden that’s friendly to bees. Adding a simple garden to your yard provides bees with a great food source. Keeping them well-fed can help them reproduce and increase their population. Use a wide variety of native plants. Pick different kinds of plants so you have flowers from March until October. Include some patches of uncovered dirt. Add some water so bees can bathe and drink. To pick which flowers to include, talk to your local garden supply store or read this article by Bee Friendly. Just remember to focus on flowers that are native to your region. Those are the plants that bees in your area know to find, so it can make it easier for them to reach your garden. You also don’t need a ton of space or a “green thumb.” You can create a great garden in pots or window boxes. And all the gardening know-how you really need is how to dig and water. Maintaining a garden is a great way to help bees. To go beyond this, National Geographic lists some other ways you can help. Don’t cover all the spare ground near your home in mulch. Bees can nest in the ground, so leaving some open patches of dirt can help bees thrive. Avoid pesticides and weed killers. These poisons can kill bees. Instead, use natural pest-eaters like aphids, and hand-pull weeds. Install a bee block in your backyard near your new garden. You can find them in garden stores, and they’re good homes for bees. Get involved. 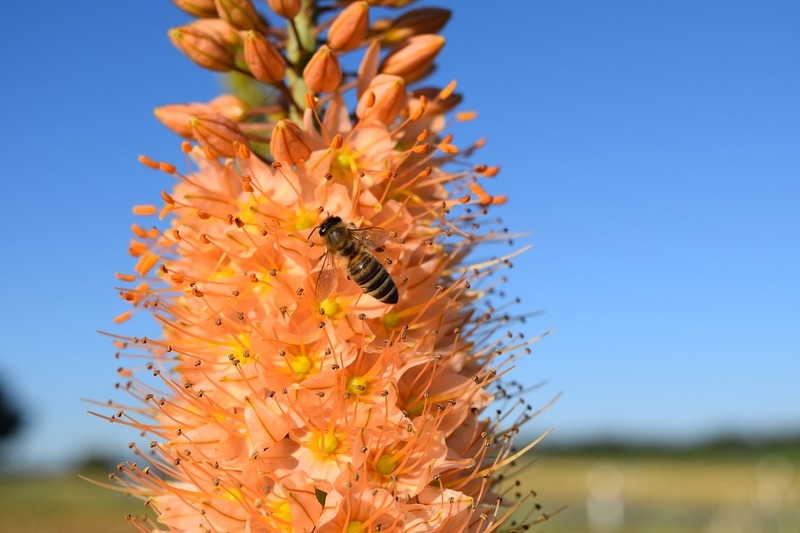 Contact the City of Richardson about adding bee-friendly plants to public parks and similar spaces. Some people view bees as stinging insects that need to be eliminated. This couldn’t be further from the truth. Bees are vital to the food supply in this country. That’s why you need to take action now to help bees. A nice garden, some spare ground, and skipping pesticides can make a big difference in helping the bee population recover — and keep our food supply out of danger. I’d like to introduce myself as your 2018 President-Elect of Heights Park Neighborhood Association. 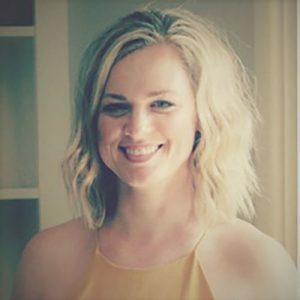 My name is Erika Usie (pronounced You-zay; not that it matters, but people are always asking) and I am thrilled to be part of the greatest neighborhood in Richardson! I’ve only lived in Heights Park for a little over two years, but have seen tremendous growth and change happening in that short time. Sometimes change can be uncomfortable and scary, but I encourage you to support all of the wonderful ventures that our neighborhood association has recently implemented to embrace our growth. The board has been hard at work to generate loads of activities for all of Heights Park residents throughout the year. (Big shoutout real quick — Janet, Bonnie, Jeff, Melanie, Stephen, Robbie, Robert, Marsha, Erynn, Lynda. If you see any of these people, stop and give them a high five, air hug, real hug, fist bump or even just a wave for their hard work). If you are new to the neighborhood and haven’t had a chance to attend some of our events, don’t be shy! It is the best way to meet your neighbors — young and old! If you are an established resident, reach out to the newcomers and let them know how lively and welcoming Heights Park is. Let’s work together to keep our neighborhood strong and connected. Finally, if you ever see me out and about, please don’t hesitate to call out my name to introduce yourself (any and all pronunciations welcomed). I thoroughly enjoy meeting the people of our community who share the love of Heights Park! Donated items can be damaged, working or not functioning. 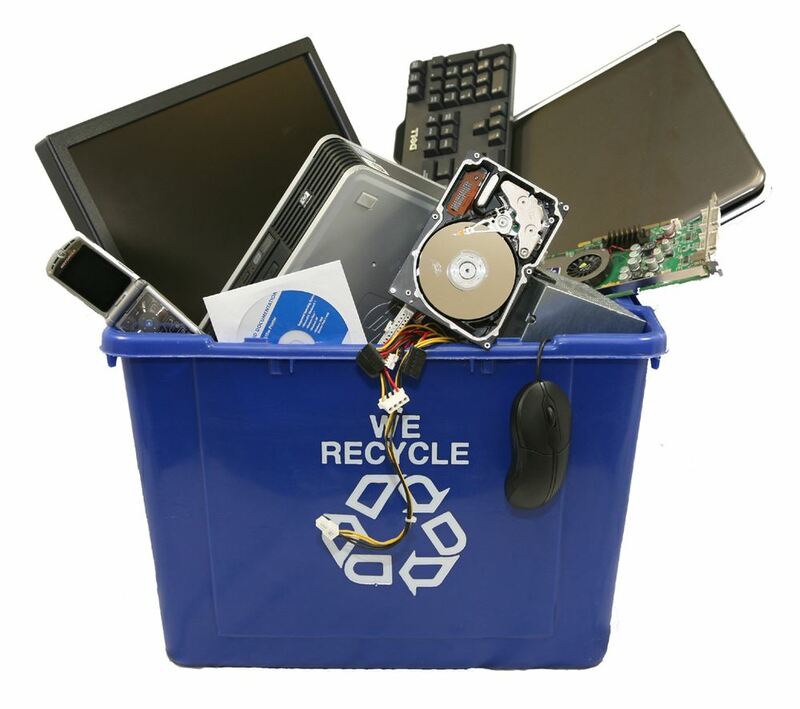 Heights Elementary PTA will accept a variety of electronics during its Recycling Drive from 6 to 8 p.m. on Thursday, Oct. 19. The sale of the donated items will go toward planting a tree at the school. Desktops, laptops, servers, LCD monitors, keyboards, mice, speakers and all other computer components. Video and all non-disposable film and digital cameras. Fax machines, typewriters, inkjet cartridges, printers, scanners, routers, shredders and copiers. Cellphones, GPS devices, calculators, portable CD and DVD players, PDAs, and MP3 players. Video game systems and accessories. Car and home audio equipment, satellite and cable boxes, VCRs, DVD players and recorders, headphones, and multimedia projectors. Air purifiers, baby monitors, vacuum cleaners, power tools, electric razors and sewing machines. All solid dosage pharmaceutical product and liquids in consumer containers may be accepted. Liquid products, such as cough syrup, should remain sealed in their original container. Bring your unused or expired pharmaceuticals for disposal during National Drug Take Back Day on Saturday, Oct. 28. 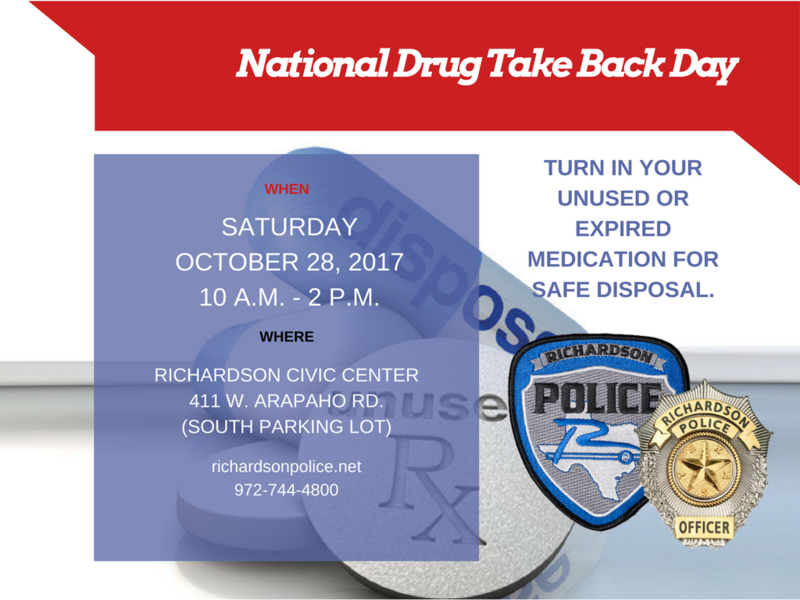 The Richardson Police Department will have a drop off location from 10 a.m. to 2 p.m. in the south parking lot of the Richardson Civic Center, 411 W. Arapaho Road. Intravenous solutions, injectibles, and syringes will not be accepted due to potential hazard posed by blood-borne pathogens. For more information contact the Richardson Police Department Crime Prevention Unit at 972-744-4955 or visit the DEA National Take Back website.